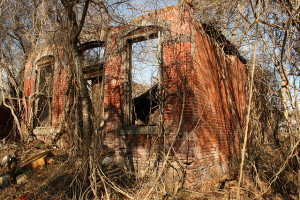 BEST TIME TO VISIT: Any Time But Note Town Is Private Property Now COMMENTS: Welcome to the ghost town of Hillsville SC. Located right outside of Laurens SC, you won't find Hillsville on a map because it does not exist any more. The former town came to our attention when I noticed some old commercial buildings on the state highway. I talked to the owner of the house adjacent to the property and discovered the history of the land. REMAINS: Old Brick Buildings. Two in ruins, one still in use.